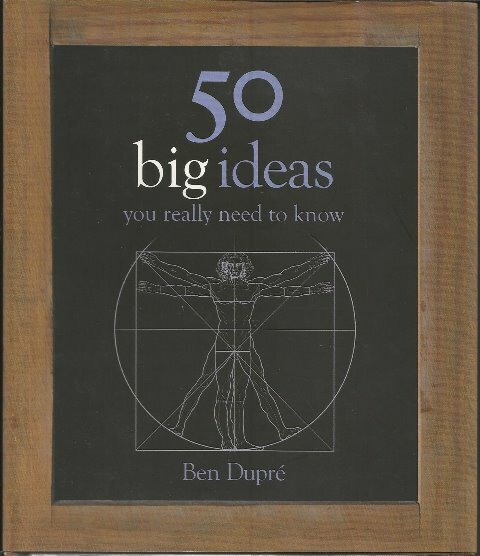 50 big Ideas You Really need to Know by Ben Dupre is a concise, accessible and popular guide to the central tenets of Western thought. Every important principle of philosophy, religion, politics, economics, the arts and the sciences is profiled in a series of short illustrated essays, complemented by an informative array of timelines and box features. 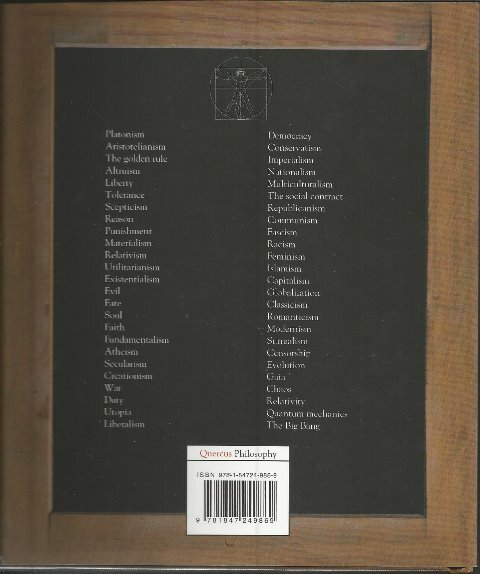 Platonism, The Soul, Communism, Aristotelianism, Faith, Fascism, The Golden rule, Atheism, Racism, Altruism, Secularism, Feminism, Pluralism, Fundamentalism, Islamism, Liberty, Creationism, Capitalism, Toleration, War, Globalization, Scepticism, Duty, Classicism, Reason, Utopia, Romanticism, Punishment, Liberalism, Modernism, Materialism, Democracy, Surrealism, Relativism, Conservatism, Censorship, Utilitarianism, Imperialism, Big Bang, Existentialism, Nationalism, Chaos, Evil, Social contract, Evolution, Fate, Republicanism, Relativity, Quantum mechanics, Gaia.